As most of our users are aware, ManuSoft uses Crystal Reports to produce a lot of its printed output. Whereas earlier versions of ManuSoft produced very boring looking print outs – mono-spaced slabs of numbers in Courier New, dashes used for separating lines, etc. – since version 6.2 we’ve been steadily improving the look of our reports by using Crystal, where we can use many and multiple fonts, draw boxes, include graphics, etc. As well as looking better, this also gives our users an opportunity to further customise our reports in ways that were not previously possible. We’ve also added the “MDBC Reports” menu to allow you create your own reports from scratch (or from one of the downloadable reports from our support site) and still run them from inside ManuSoft. ManuSoft provides automatically everything you need to run and view Crystal reports. 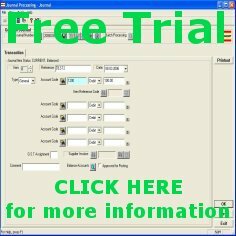 But to create your own reports, or to modify the reports that ManuSoft have provided, you need your own copy of the Crystal Reports program (and a licence for each user that you install the program for.) Many users will already have a copy, so it’s worth quickly running through the recent versions that have been released and how suitable they are for use with ManuSoft. 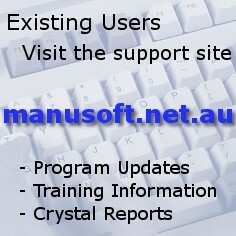 ManuSoft v6.2 used Crystal Reports v8.0 and then v8.5. We also used an optional feature called “Compiled Reports” in order to view the reports in ManuSoft. With ManuSoft v6.3 we moved on to Crystal Reports v9. This was a big update by Crystal and was not “backwards compatible” with v8.5 an earlier. That is, if you created in a report in V9 of Crystal you could not open that report with v8.5 or earlier. This version of Crystal also required Windows 2000 or better to run as it now fully supported (and required) something called Unicode, which Windows ME/98/95 did not support. ManuSoft v6.5 continued to use Crystal XI as its “viewer”, so there were no real changes there. But new versions of Crystal have continued to be released, so let’s look at them and what they offer. As it explains on the link, you just need to use your same licence code you got when you bought the Crystal XI product in order to install this updated version. Warning: It’s a big download, at just over 1Gb, and you’ll need plenty of free hard drive space to decompress the files before installing the program too. I think there are some great new features in “Release 2″ which make it a worthwhile upgrade. Most importantly there is a “Find in Formulas” option, which is great for when you’re trying to locate all the possible places in a report where you reference a particular field or formula. The formula editor has also been improved with an “auto-complete” feature, which is pretty neat. Finally, there is the recently released Crystal Reports 2008 (also known as version 12.) This version is still backwards compatible all the way back to v9, thus if you use this version of Crystal to modify or create your reports then you’ll be able to use those reports in ManuSoft v6.4 and v6.5. If you use a new feature that is specific to Crystal 2008 (and there aren’t many) then it will just be ignored when the report is displayed in ManuSoft. Any version of Crystal Reports can be a daunting prospect. It’s a big and complicated (but also powerful) program. We try to regularly do introductory training courses on specifically using Crystal Reports with your ManuSoft data, and there’s also a basic introduction in the online help. Otherwise there’s always our telephone and email support where we’ll try to help out as best we can, so long as we don’t end up writing the whole report for you. 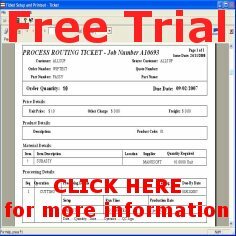 A bit of Crystal support here and there is covered in your maintenance contract; writing customer specific reports are not, but we will hapilly quote you a price for designing any reports you can’t create yourself. Many users like us to do the hard work of creating the inital report, but then hapilly tweak it as needs change over time. This entry was posted in Uncategorized on June 6, 2013 by wpadmin.